The meeting is being recorded for broadcasting and viewing on �Olelo. To insure that all verbal comments are audible for broadcasting, please speak into the designated microphone to enable the importance of the speaker's message to be recorded and heard at the broadcast and viewing of the meeting. I. Chinatown Liquor Stores - Resolution to shut down notorious Chinatown liquor stores selling to drunks at all hours. J. Resolution to support City Council Bill 10 for $200,000 to pay for private security guards to patrol Downtown & Chinatown streets. 2. Liquor License Application and Street Closures. One Aloha Tower Drive, Multi-Purpose Room 2 at 6:00 p.m.
2nd and 4th Saturday, Channel 49. A mailing list is maintained for interested persons and agencies to receive this board's agenda and minutes. Additions, corrections, and deletions to the mailing list may be directed to the Neighborhood Commission Office (NCO) at Kapalama Hale, Suite 160, 925 Dillingham Boulevard, Honolulu, Hawaii 96817; Telephone (808) 768-3710 Fax (808) 768-3711; or call Neighborhood Assistant Harry Cho at (808) 768-3714 or e-mail Harry.cho@honolulu.gov. Agendas and minutes are also available on the internet at www.honolulu.gov/nco. 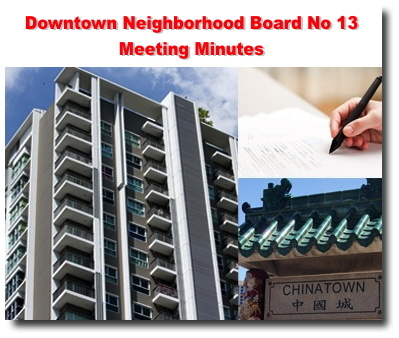 Any individual wishing to attend a Neighborhood Board meeting who has questions about accommodations for a physical disability or a special physical need should call the NCO at 768-3710 between 8:00 a.m. and 4:00 p.m. at least three (3) business days before the scheduled meeting.